We see ourselves as link between the yacht and all services the yacht might require, like shipyards, agencies, suppliers, technicians etc. and we work completely independent on the side of the yacht. If you are new to the Mediterranean we will organize absolutely everything you might require for a minimal fee. We specialize in the TECHNICAL CONSULTING & COMPLETE ASSISTANCE for yachts which travel the Mediterranean sea and will organize absolutely everything, from the sourcing of spare parts to repairs of any kind, the organisation for maintenance and complete refits, but we are not a substitute for a Yacht Management company. We will also help with voyage planning and through our vast network of trusted yacht agencies, provisioning companies and spare part suppliers we are able to make your cruises in the Mediterranean as trouble free as possible. 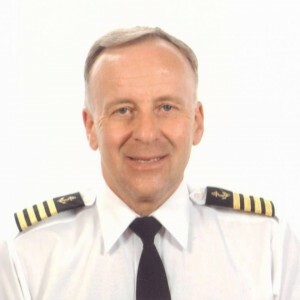 The head of the company, Captain Heinz W. Krodel, has 34 years of experience as CAPTAIN on large luxury yachts up to 235’ (73m) and as PROJECT MANAGER/BUILD CAPTAIN for the new construction and refit of large yachts. He is known for that he is “getting the job done”. Blue Sea Yacht Consulting & Technical Assistance is run by professionals for professionals. Our team consists of a very experienced former mega yacht captain and chief engineer with many years of active sea service on large luxury yachts who know firsthand the kind of support needed to run a large yacht safely and efficiently. The captain of the yacht can concentrate on what he is supposed to do, captaining the yacht, with the reassurance that a competent team of technical yachting professionals is standing behind him. Our extensive Network in the entire Mediterranean guarantees a fast response to any need a yacht will have during a cruise or while in port for maintenance, repair or refit. Our purchasing department guarantees fast and effective supplies of spare parts, equipment and anything else needed at discounted prices. We provide a single contact point to obtain expert advice and customized assistance for all yachting requirements in the Mediterranean. The overall running cost of a yacht can be significantly reduced due to our established relations with suppliers, technicians, repair shops, shipyards and the centralized purchasing of spare parts and equipment. Our network partners are sure to speak the language of the country your yacht is cruising in and will have the local knowledge and contacts to solve the various problems that arise. For a new build or refit we will provide independent owners representation from conception to delivery. We are not a substitute for a Management Company as we concentrate ONLY on the technical side of the yachting operations.